Users can login to the same QuickWire database with a web browser. 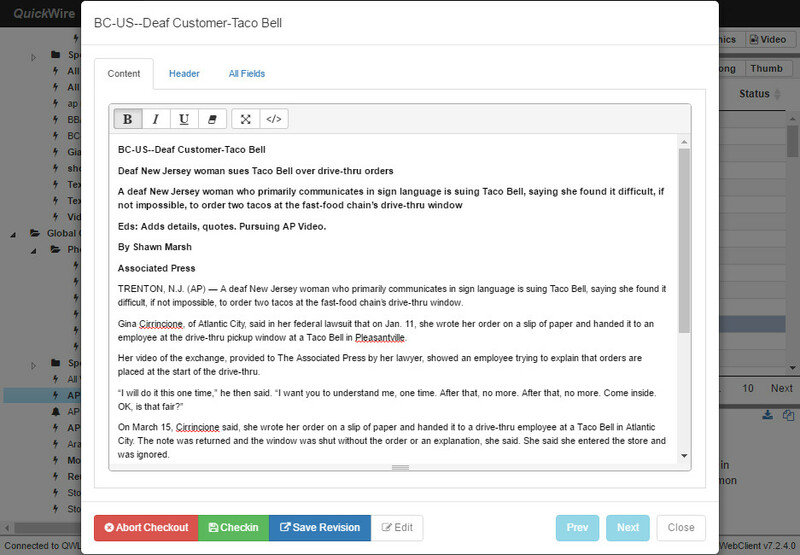 Access the same stories and use their same saved query searches. Search on several metatags or just do a basic keyword search. Setup the window anyway you like; short and long view, preview panes, full screen mode. Submit stories locally or remotely. Gather several stories in a basket for editing or for viewing later. Complete built-in security with encrypted story links, illegal character checks and session timeouts. QuickWire Web client in long list view for easy browsing. 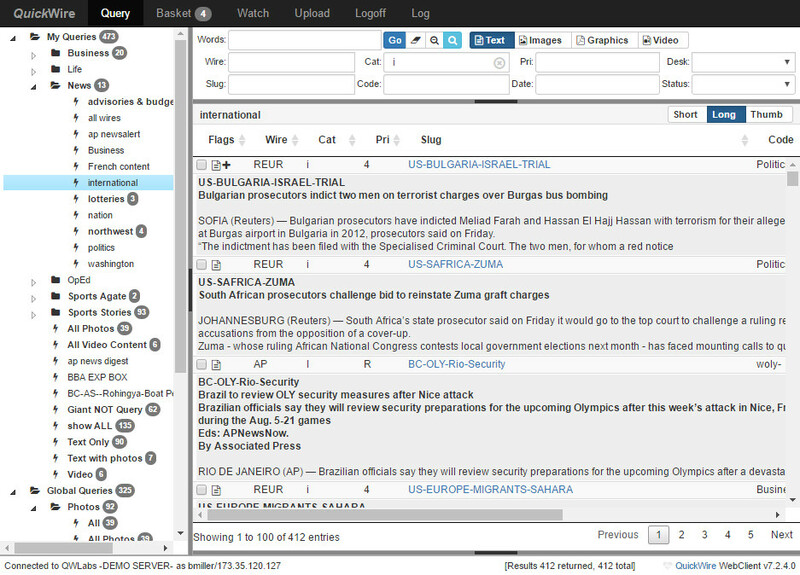 QuickWire Web client showing Query 'Watch' Notification Window. 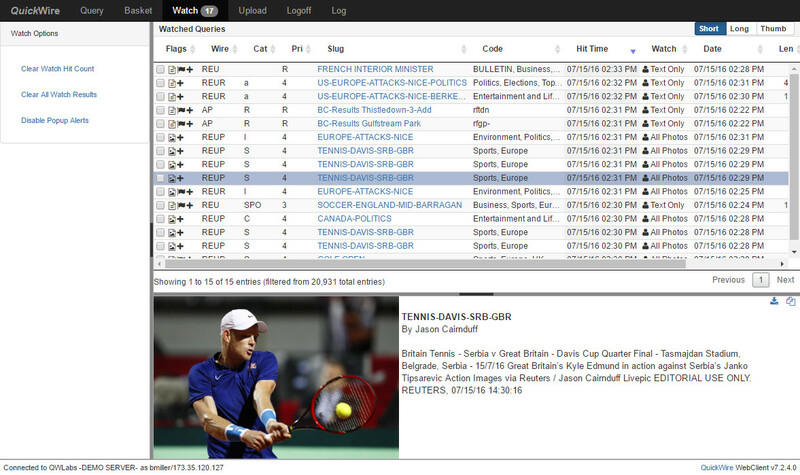 QuickWire Web client showing video thumbnails with preview pane. 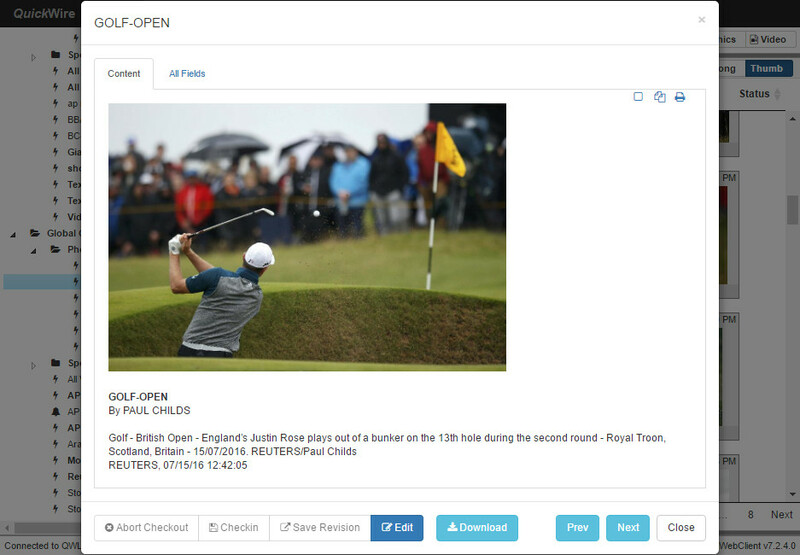 Browse, checkout and edit, download or email any photo in the database. Browse, checkout and edit, download or email any story in the database. 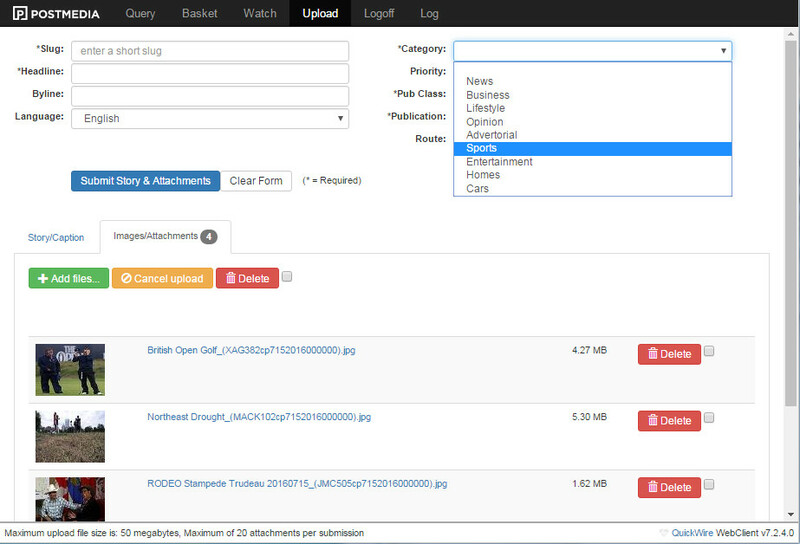 Submit stories, photos or other files remotely with the upload page.